Daimler sets up R&D centre for autonomous trucks in U.S.
FRANKFURT/PORTLAND, United States (Reuters) - Daimler's trucks division has set up a research and development centre for autonomous driving in the United States, the latest sign of the German manufacturer's commitment to getting self-driving freight trucks on the road. Daimler also plans to expand its line-up of battery-powered trucks to help comply with tougher carbon dioxide (CO2) emissions rules in Europe, said Martin Daum, head of the division. Serial production of the eActros truck with an operating range of up to 200 kilometres (125 miles) will start in 2021, said Ennerst, citing tests with other models including the eFuso and eCanter trucks. "Q2 will be challenging but we see a strong second half of the year," Jochen Goetz said. "We are currently facing some problems on the supply chain, we will not lose a single truck but some (trucks) might be invoiced in Q3." A new efficiency programme will not be needed, Goetz said, adding the truckmaker would focus on executing its previous savings plan and aim to lower costs by 1.4 billion euros as planned by 2019. 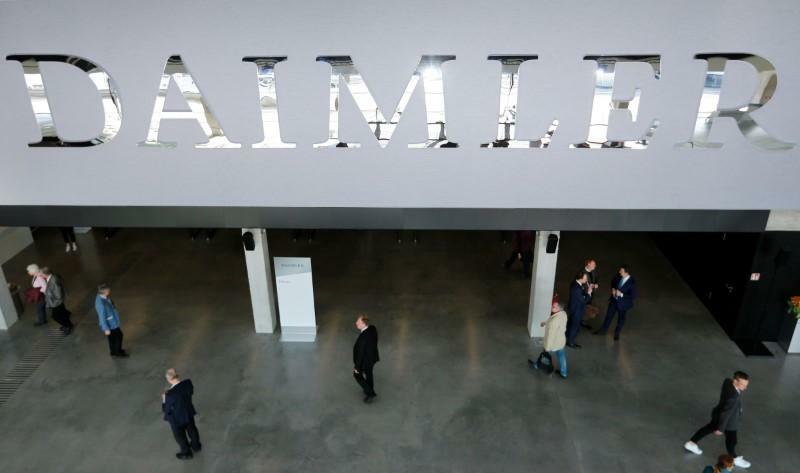 1Daimler sets up R&D centre for autonomous trucks in U.S.